If you are coming to Nepal, then Indra Jatra Festival is something you must not miss. Celebrated for eight days simultaneously, Indra jatra is the festival that also marks the beginning of the autumn. 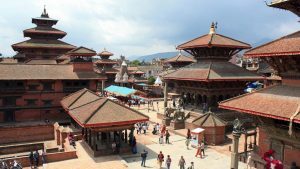 It begins with the erection of the wooden pole that is made of pine at Basantapur Durbar Square, around 36 feet long, right in front of Hanuman Dhoka palace. A lot of viewers gather around the area, to celebrate and witness the event and also to get a glimpse of Kumari, the living goddess who is taken out on a procession. This is the festival especially of the Newars, and also some other communities in Nepal, and considered as one of the most important festival. Falling usually on September, this festival is very unique and something that you don’t get to see anywhere else. 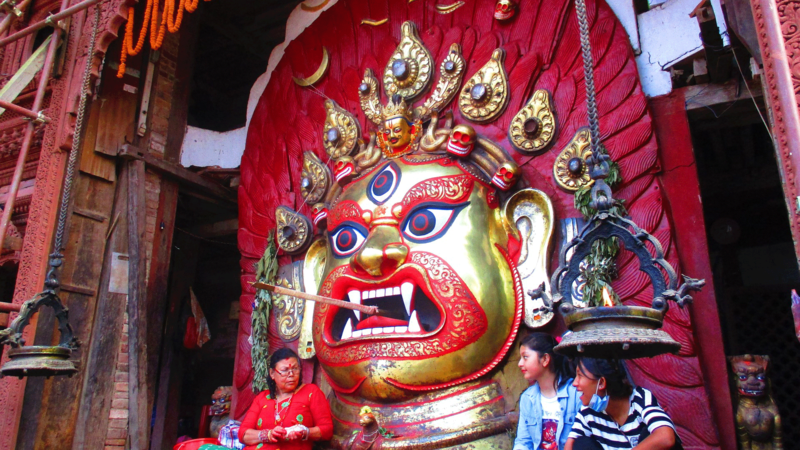 The festival of Indra Jatra has a story which dates back to the mythical era. Myth has it that, Indra’s mother needed parijat, also called a night blooming Jasmine, for some religious ritual so Indra disguised as a human being came to the earth to fetch them. But, he was recognized when he was to steal the flowers so the people caught him and tied him with ropes. The statue of which is still worshipped in Maru Tole in Kathmandu. This image is also put on display with others in different parts of the city during Indra Jatra festival. During Indra Jatra, there are a variety of performances including the dances of Sawa Bhakku Bhairav from Halchowk, Majipa Lakhey from Majipat, Devi Nach and Yeravat hathi (Pulukisi) from Naradevi, Mahakali and Kathi Maka Nach from Bhaktapur. All the dances take place around Hanuman Dhoka area. The Dasavatar or the ten incarnations of Lord Vishnu is also staged every night. 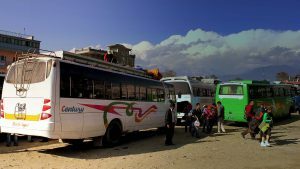 The festival offers a peek into the diverse culture of Nepal, therefore if you plan to pay a visit to Nepal during the early fall, then witnessing Indra Jatra is a must as it offers more than just a good time.